On his radio program yesterday, right-wing pastor E.W. 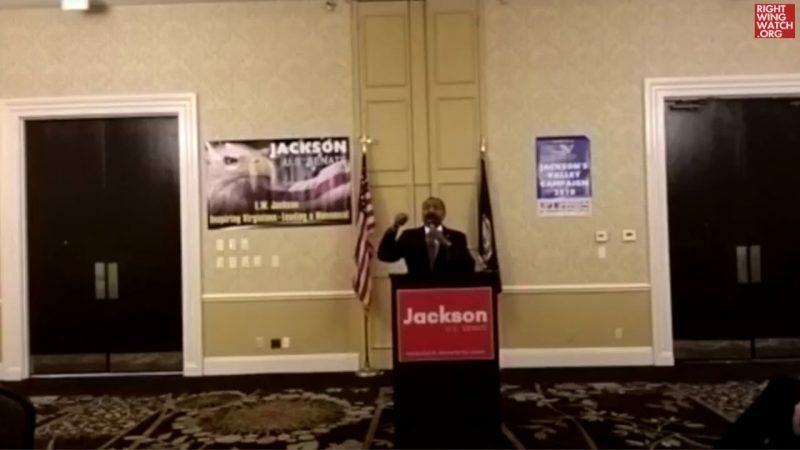 Jackson asserted that there is no need to have a discussion about reparations because black Americans “have already gotten reparations” by virtue of having the right to live in America. The idea of paying reparations in an effort to atone for America’s centuries of slavery and racial discrimination has become an issue among those seeking the Democratic nomination for president, but Jackson insists that the discussion is “a bunch of nonsense” because the descendants of slaves have already benefited tremendously simply by being lucky enough to live in this nation to begin with. “Being an American, that’s your reparations,” Jackson added, arguing that black Americans have already been well compensated merely by being born in America instead of in Africa.